2.6. Roll Your Own PoW "Blockchain"
3.3. Roll Your Own PoS "Blockchain"
This data is most often stored in centralized databases. The "state" of these databases is what we look at to determine what is "true" or not. Ever gone to a restaurant and been told they can't find your reservation, or tried to register to vote and been told that you're not in the system? Data. In this example we'll explore some of the common data structures that banks keep track of, and how they might go about maintaining and updating the state of that data. 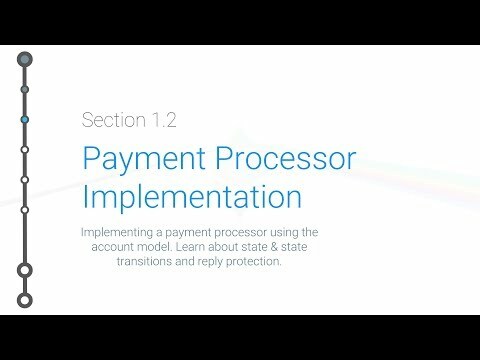 Cryptoeconomics - 1.2 - State Transitions & Payment Processor Implementation. // This structure keeps track of all the bank's data. // stuff, the state will (hopefully )change to reflect that. // sure that the state accurate. // and the Account Struct as the value. // deleted so that you can unfreeze them if needed. // This is just a Vec that stores all account IDs. // by users, but not verified and processed by the bank. // sell this history to collectors or other investors. // collectors or investment funds. // compliance, regular operations, or intentional fraud. // account, and that site then gets hacked. // is not cleared properly. // the bank cares about from users. // Account to take money from. // from is the one that submitted the TX. // Check to make sure we're not processing duplicate TX. // Account to add money to. // This function create a new state for the bank. // Ah... a blank canvas. So clean. So pure. So beautiful. // In Rust the main() function is where the program runs. // Let's roll our own "bank"!